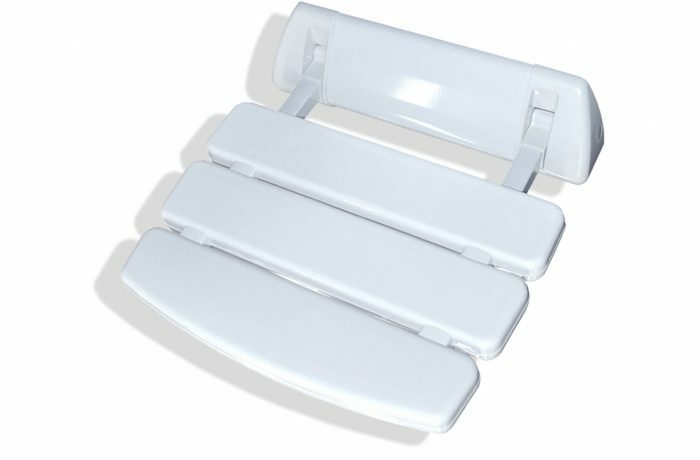 Transform your shower into a more comfortable and relaxing experience with this simple yet very practical wall mounted shower seat. Easy to install and setup the shower seat provides a comfortable non-slip surface to sit on and can hold up to 350lbs. Having a secure place to sit eliminates the dangers of a slip and fall better than non-slip mats ever could. Useful for all ages, old or young, a comfortable place to sit is greatly beneficial for anyone. And, while not in use, the seat can be folded upwards flush against the wall to keep it out of the way.